Germanwings crash families could seek damages in the U.S. The Federal Aviation Administration (FAA) is proposing a $1.54 million civil penalty against Air Methods Corp. of Englewood, Colo., for allegedly operating Eurocopter EC-130 helicopters on dozens of flights when they were not in compliance with Federal Aviation Regulations. According to the agency, Air Methods operated two helicopters on 70 passenger-carrying flights for compensation or hire, over water and beyond power-off gliding distance from shore, when they lacked required helicopter flotation devices and flotation gear for each occupant. The company operated another helicopter on 13 such flights when it lacked required flotation gear for each occupant, the FAA contends. All 83 flights by the emergency medical transport company occurred around Pensacola, Fla.
"Operators must follow every regulation and take every precaution to ensure the safety of all those on board," said FAA Administrator Michael Huerta. "Flying without required safety equipment is indefensible." Air Methods has 30 days from the receipt of the FAA's civil penalty letter to respond. An unruly passenger causes a plane bound for Germany from North Carolina to stop in Philadelphia. An unruly passenger forced an American Airlines flight bound for Germany to be diverted to Philadelphia Friday evening, airline officials said. American Airlines flight 704 departed Charlotte, North Carolina for Frankfurt, Germany just before 5 p.m. and was off the New Jersey coast when pilots turned the plane toward Philadelphia International Airport, officials and fight tracking services confirm. The Airbus A330 carrying 239 passengers and 14 crew members landed at 6:30 p.m. The unruly passenger was removed by Philadelphia Police, officials said. It's unclear what the passenger did to cause the diversion. They are currently being questioned by police. American Airlines spokeswoman Victoria Lupica said U.S. Customs and Border Patrol was notified, as is protocol when an issue arises on an international flight. The plane refueled and took off for Germany around 8:30 p.m.
A Cathay Pacific pilot was arrested for allegedly trying to carry knives onto a plane just an hour before was due to carry 262 passengers from Heathrow to Hong Kong. The search was carried out moments before boarding the Cathay Pacific 777 flight CX254 which was set to take off at 9.10pm. The incident comes less than four weeks after the Germanwings French Alps plane disaster in which cockpit voice recorder evidence suggests the co-pilot deliberately crashed the Airbus A320 with the loss of 150 lives. The Cathay Pacific pilot was later released from a local police station on bail, to return there next month. A spokesman for the Met Police said: 'On Saturday at around 9.10pm police at Heathrow Airport were called to a staff search area after a search of a member of flight crew, for a flight later that night, found them in possession of some knives. 'Officers attended and subsequently the member of flight crew, a man, was arrested on suspicion of possession of an offensive weapon in a public place and possession of a knife blade/sharp pointed article in a public place. 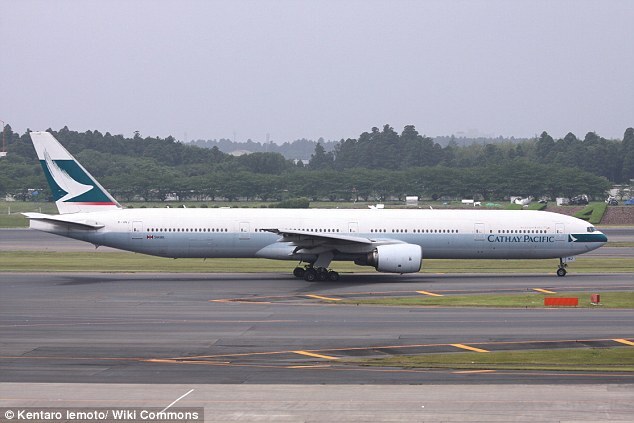 A Cathay Pacific spokeswoman said: 'We will continue to co-operate with the authorities throughout the investigation. 'We apologise for the delay and inconvenience caused to the 262 passengers booked on CX254. 'The airline assisted passengers with overnight accommodation and alternative flight arrangements. 'CX254 later departed Heathrow at 2.47pm yesterday and arrived in Hong Kong this morning at 9.31am local time. FRANKFURT, April 19 (Reuters) - Families of the victims of the Germanwings crash are considering filing a claim for damages in the United States if they cannot reach agreement with parent airline Lufthansa in Germany, a lawyer representing the families said on Sunday. Compensation talks with Lufthansa are expected to start soon and the lawyer, Elmar Giemulla, told Reuters he hoped the company would agree to pay damages commensurate with the emotional harm caused by the crash. "If the airline is not prepared to do so, however, we will look seriously at making a claim in the United States," said Giemulla, adding that he was representing 21 families including those of the German school children who died. All 150 people on board the airliner were killed in the crash on March 24. Investigators believe the co-pilot Andreas Lubitz, who had a history of depression, deliberately steered the plane into a mountain in the French Alps after locking the captain out of the cockpit. Giemulla said his clients could join the families of two U.S. citizens who also lost their lives in the crash in seeking damages through a U.S. court. He said he was already working closely with lawyers representing the U.S. families, adding that it would be at the discretion of the judge in the United States whether to allow damage claims by the other families as well. There are precedents for such cases, Giemulla said. In air crashes, the amounts awarded for pain and suffering vary by country, with victims from the United States tending to receive higher payouts than in Germany because U.S. courts recognise compensation for emotional harm. In Germany, damages are calculated based on a victim's lost earnings and other financial consequences from the loss, such as travel costs, and there is typically no separate award for pain and suffering, according to Giemulla. This means that revelations by Lufthansa that its flight school knew of Lubitz's depression may not influence the level of payouts in Germany as they could under U.S. law. Giemulla said he is considering seeking 1 million euros ($1.1 million) per victim. So far, Lufthansa has paid 111 families emergency aid of 50,000 euros each, a company spokesman said on Sunday, adding that the airline aimed to make payments to the remaining families as quickly as possible. The spokesman declined to comment on the possibility of damage claims being made through a U.S. court. 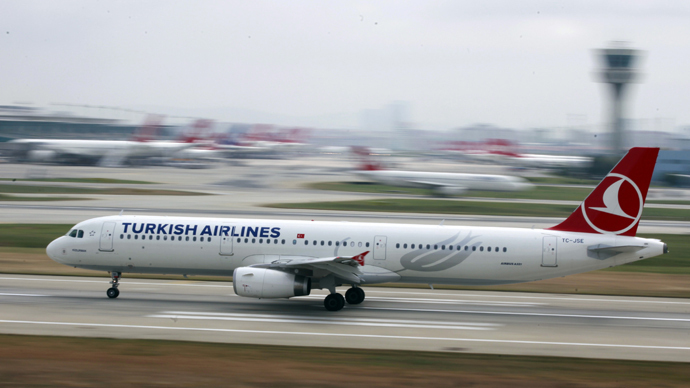 In light of the Germanwings tragedy, where the co-pilot deliberately crashed the plane into the French Alps, Turkish Airlines CEO has advised all new pilots -- men and women -- to get married, in a desperate attempt to avoid any 'reckless' behaviour in the future. THY CEO Temel Kotil has recommended to all unmarried pilots, who were part of a group that completed its training, to get married at the earliest. Speaking to some 86 newly trained pilots, Kotil said on Thursday that pilots' lifestyle' was critical in preventing them from falling to destructive behaviour. Referring to last month's Germanwings crash, Kotil said it 'taught' him some important lessons. "The accident is said to have occurred after the co-pilot who caused the crash broke up with his girlfriend. So, friends, please know that we advise single pilots to get married," Kotil said during the meeting. "Therefore, I am guiding those who are single towards marriage from this podium," he added with a smile, reported Associated Press. Andreas Lubitz, the Germanwings co-pilot who killed 150 people on board, was reportedly receiving psychiatric counselling till the day of the crash, following a break-up with his girlfriend, whom he was planning to marry next year. Meanwhile, the investigators recently found the second black box from the doomed Germanwings Airbus A320. It confirmed that Lubitz repeatedly accelerated the plane's descent into the French Alps. Conflict between the pilots and Allegiant's chairman and chief executive has become increasingly tense over the last two years. 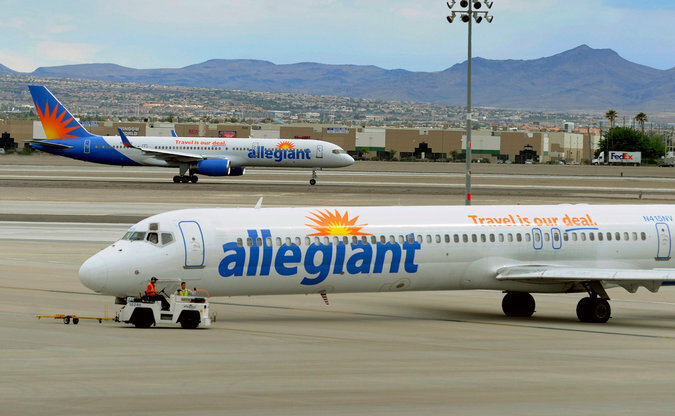 For the last decade, Allegiant Air has built a thriving business buying secondhand jets and connecting small cities to leisure destinations like Las Vegas and Honolulu. By keeping costs low, offering cheap fares, and flying from places that other carriers have neglected, like Fort Wayne, Ind., or Allentown, Pa., Allegiant has grown rapidly. Today, the airline has one of the highest profit margins in the business and among the lowest costs. But Allegiant's scrappy success is now being questioned by its pilots, who say they are worried about repeated mechanical problems with the airline's fleet of older planes, poor maintenance operations and a culture where profits come before safety. The conflict between the pilots and the airline's chairman and chief executive, Maurice Gallagher, has become increasingly tense over the last two years, with both sides locked in negotiations over a new contract. It is not unusual for pilots to bring up safety and maintenance issues in the middle of labor talks. To the airline, the complaints represent scare tactics by the pilots union, driven by demands over benefits and work rules. Since it was founded in 1997, Allegiant has kept a tight focus on reining in costs. It subcontracts all but the most routine maintenance, for instance. It also buys older planes, which keeps its ownership costs down. Last year, the company's operating margin was about 14 percent, second only to Spirit Airlines. Traditional carriers generally post operating profits in the low single digits. This low-cost model has also led to tensions with the airline's work force. The dispute with the pilots, for instance, began after the pilots voted for union representation two years ago. It has since played out in federal court, where pilots contend that the airline has unlawfully scaled back their benefits and tightened work rules and shut them out of voluntary safety programs that are common at other carriers. Amid this simmering tension, Allegiant pilots said they had identified at least 65 incidents from September to March where flights were forced to divert to another airport, return to the gate or abort their takeoff because of a mechanical or an engine problem. All the claims were reported by the pilots and compiled by the Teamsters Aviation Mechanics Coalition on behalf of the pilots' union, the Airline Professionals Association Teamsters Local 1224. Their report concluded that poorly trained mechanics, insufficient spare parts, and an aging fleet were "creating a dangerous paradigm that could eventually lead to an accident resulting in serious injury and loss of life." Allegiant's pilots recently threatened to go on strike to force the company to restore previous work rules. Union officials denied they were making the safety accusations to gain leverage in negotiations. Some aviation safety experts said the number of issues should raise some red flags at the Federal Aviation Administration. "For a small fleet, that's an awful lot of problems," said John Goglia, a former member of the National Transportation Safety Board. "They are running on the safety margin." Allegiant said the accusations were "absurd." It said planes were inspected by mechanics every night. The carrier said it also has an analysis and surveillance program, as well as a reliability program, to monitor the fleet's health and performance and shares its data with the Federal Aviation Administration. "Neither Allegiant nor the F.A.A. have identified abnormal trends," said Jessica Wheeler, a spokeswoman for Allegiant. Steve Harfst, the chief operating officer of the Allegiant Travel Company, which owns the airline, said in a statement: "The safety of our passengers and crew is, above all, our No.1 priority. Allegiant has one of the best safety records among passenger airlines in the world and complies with all F.A.A. regulations." The F.A.A. did not address the specific issues raised by Allegiant's pilots, but pointed out that it had increased surveillance while the airline dealt with its current labor issues. The agency is "continuously monitoring, evaluating and providing oversight of Allegiant Air to ensure the carrier is capable of meeting its responsibility for safe operations," according to Laura Brown, a spokeswoman for the F.A.A. Federal regulators have already taken a deep look at Allegiant's operations. In 2013, a routine F.A.A. inspection found problems with the airline's maintenance and training programs. The inspection, which is known as an Air Carrier Evaluation Program, and which has not been made public, led the F.A.A. to temporarily shut down the airline's training programs for pilots, mechanics and flight attendants and freeze new plane deliveries until problems were addressed. Among the problems the F.A.A. found was that Allegiant's repair program did not properly distinguish between "minor" and "major" repairs and did not adequately track structural defects. The F.A.A. also said Allegiant was "not effective in identifying systemic deficiencies" and also found problems with the training of pilots for Boeing 757s and Airbus A320s. Most issues were resolved within six months. Allegiant said that the F.A.A. found that a training manual needed to be revised, but that there was never any question or concern regarding training processes or pilot qualification. John Cox, the chief executive of Safety Operating Solutions, and a former safety official at the Air Line Pilots Association, said tense labor negotiations could often bring "rhetorical excesses" about safety. In some cases, he said, airlines and pilots can benefit by bringing an outside auditor to review the facts and provide a dispassionate analysis of events. "Allegiant is pretty unique because they are ultralow cost," Mr. Cox said. "Older airplanes have more mechanical issues than newer ones. But does that make them unsafe? Absolutely not. Allegiant has had a pretty good track record." Union officials also assert that the airline has shut its pilots out of several safety programs that are common at many airlines including one known as the Aviation Safety Action Program. Allegiant denies this, saying it invited pilots to the monthly meeting of its flight operations safety committee. Allegiant operates a fleet of 70 airplanes, mostly McDonnell-Douglas MD-80s, which have an average age of 22.2 years. Last year, it carried eight million passengers. Mr. Gallagher, who is also Allegiant's biggest shareholder, was one of four co-founders of ValuJet. He left that airline in 1997, a year after the crash of ValuJet Flight 592, when the airline merged with AirTran and changed its name. It is now part of Southwest. Mr. Gallagher declined to be interviewed. Tom Haueter, the former director of aviation safety at the National Transportation Safety Board, said the problems highlighted by Allegiant pilots did not necessarily reflect a systemic problem with the company. Pilots can overreport a problem, either out of an abundance of caution or because they are seeking concessions from the airline, he said. That can make the job of F.A.A. inspectors more difficult, he said. "The truth sometimes lies in the middle," Mr. Haueter said. ISSA is a voluntary safety audit program aligned with global best practices and created primarily for airlines that operate aircraft which have a lower maximum take-off weight than the 5,700 kg threshold for participation in IOSA. ISSA is also an alternative for airlines, such as some private charters whose business model does not allow conformity with IOSA's standards. ISSA is not a substitute for IOSA which remains a requirement for IATA membership. When commercial airlines look at Air Force pilots, they see aviators with upward of 1,500 flying hours and 10 years or more of flying experience. And they want to hire them. As airlines continue to grow and Vietnam-era pilots retire, the airlines will hire about 20,000 pilots over the next 10 years. United, American, Delta and the rest of the world's aviation companies see the Air Force's 13,000 veteran pilots as a ready way to staff their cockpits. Maintainers and drone pilots are also in demand. Airlines want experienced airplane mechanics, and a growing number of companies are wooing experienced remotely piloted aircraft pilots with promises of big paychecks. Tiffany Harvey, who oversees recruiting for Southwest Airlines, said airlines are facing a labor shortage from the impending retirement of the Baby Boomer generation, making it more important to recruit from the military. "This is sort of low-hanging fruit," Harvey said. "We've got amazing individuals coming out of the military, that are ready and excited and passionate about starting a career, or continuing a career, that we can utilize and capitalize on their experience. We have to look at every pipeline available." The airlines hope to lure pilots away by offering hefty salaries, extensive benefits and job security without having to deploy, a Rand Corp. study found. Air Force Chief of Staff Gen. Mark Welsh recognizes the threat. And he's doing his best to counter it. "You're going to find that military pilots will be a focal point of this recruiting. Every time the airlines have recruited heavily in the past, we've lost more people," he told Air Force Times. "They've been deploying, and deploying, and deploying. After a while your family gets a little tired of that." The promise of well-paying jobs with good benefits are attractive to prospective pilots, including those in the military, said Vaughn Jennings, a spokesman for Airlines for America, an association in Washington, D.C., for private airlines. "U.S. airlines have a long history of hiring military pilots who have completed their service, and we continue to work collaboratively with military officials to ensure the future supply of pilots is being met," Jennings said. Rand earlier this year released a study projecting that major airlines will hire an average of 2,000 pilots per year over the next 10 years, with upward of 5,000 per year beginning in 2022. That compares with an average of less than 1,500 pilots hired annually in the previous 10 years. Past Air Force moves to increase pilot pay and increase length-of-service requirements might not be enough to keep pilots around, Rand analyst Nolan Sweeney wrote. The experience of Air Force pilots at a relatively young age is one big draw for the airlines. A 2013 Federal Aviation Administration requirement states that both airline captains and co-pilots must have 1,500 flying hours. (FAA regulations allow ex-military pilots to be first officers with only 750 hours.) Previously, co-pilots were required to have only 250, so this regulation increased their experience requirement sixfold, according to Rand. An Air Force pilot at the end of his or her service requirement is likely to have met the 1,500 requirement "making recruitment of Air Force pilots a likely avenue for filling co-pilot jobs," Sweeney wrote. Mobility pilots, with experience in multi-engine aircraft, are projected to account for the most pilot attrition, while the loss of fighter pilots, already in a shortage, would hurt the Air Force even more, Rand found. The Air Force has lamented a shortage of fighter pilots, telling the Senate Armed Services Committee that they have 520 pilot openings waiting to be filled. To try to keep pilots on active duty, the Air Force has increased retention bonuses to keep the aviators around following their 10-year active-duty service commitment. The bonuses range from annual installments of $10,000 to $25,000, for anywhere from five years to nine years - that is, anywhere from $50,000 to $225,000 total. More pilots than ever before - including, for the first time, drone pilots - are eligible for the Aviator Retention Pay that until now had been available only to fighter pilots. But in many ways, the Air Force cannot compete with the salaries, benefits and the promise of no deployments from commercial airlines. Air Force pilots receive base pay, flight pay and a basic housing allowance. The first two are the same for manned and drone pilots. The BAH varies depending on where you live. An 18X drone pilot at Creech Air Force Base, Nevada, nearing the end of the commitment to fly drones for six years is probably a captain with seven years' experience and earning $103,000 per year in base pay and flight pay. A manned aircraft pilot assigned flying drones, or a fighter, bomber or mobility pilot, have a 10-year commitment. Those pilots nearing the end of their commitments are typically majors with 11 years' experience, who are earning $114,800 per year, with BAH amounts averaged. According to Southwest Airlines, most pilots start at the bottom of the pay scale, which would bring an initial pay cut to a veteran airman. It takes approximately two to three years for Air Force pilots hired by major airlines to match their annual military earnings, depending on their rank at separation, said Louis Smith, president of Future & Active Pilot Advisors and a former Air Force pilot. But the potential for more money is there - an average maximum of nearly $204,000 annually for a captain flying the largest aircraft, according to kitdarby.com. Add to that 401(k) contributions and generous per diem payments, plus profit sharing required by union contracts, and the annual gross continues to grow. To protect its ranks, the Rand study recommends the Air Force reinstitute a 50 percent aviation continuation pay lump-sum option and increase the value to $30,000 per year in 2018 for fighter pilots. The service should also index aviation career incentive pay to account for inflation for at least its active-duty pilots with six to 13 years of aviation service. The Air Force's Aviator Retention Pay program - which replaced its old Aviator Continuation Pay program in 2013 - offers annual bonuses of between $10,000 and $25,000 to a variety of pilots and combat systems officers. Some of those aviators - such as 11F fighter pilots and 11U remotely piloted aircraft pilots - are eligible for a 50 percent lump sum paid up front, but others do not have that option. Aviation career incentive pay ranges from $125 per month to $840 per month. About 73 percent of eligible pilots took the 2013 re-up bonuses. "Enacting both measures would be greatly cost-effective in terms of the training costs retained, and doing so would help lower pilot attrition in all communities, and especially in the fighter community," Rand wrote. Even if a pilot decides to leave active duty, the Air Force is attempting to make it an attractive option to stay in the Air National Guard or Air Force Reserve. Rand says the Air Force should let pilots keep bonuses if they transfer from active to reserve duty. To keep its pilots interested in their work, the Air Force needs to increase training and flight hours, Welsh said. "The key in the Air Force is to make sure the people that you have who fly airplanes are still challenged by it. That they still feel it is a demanding job, and they still feel they are necessary to protect the nation," Welsh said. "All that corny stuff matters to them. They believe their job is important. They believe they are as good as anybody has been in that job, and that's why I like them all. They believe that they are basically unbeatable in their domain. "We want them to continue to feel that way. We want to make sure they continue to train to that level. We want to demand of them to be that good. I've never heard a pilot complain about flying too much." 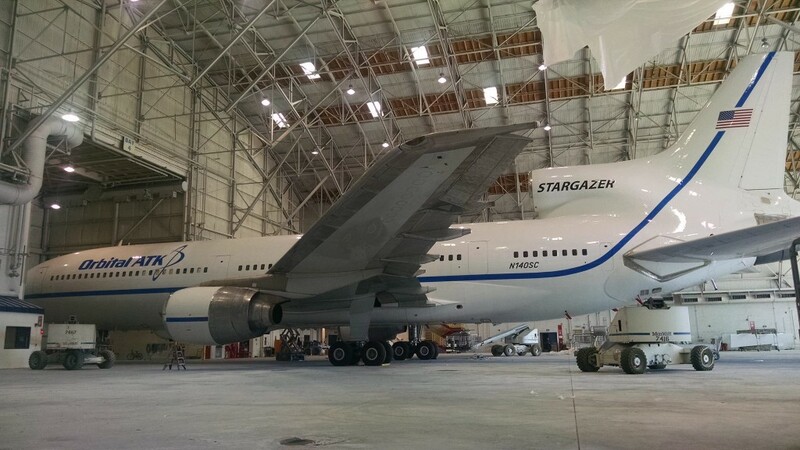 The aircraft that air-launches the Pegasus rocket has been repainted with new livery to mark the recent corporate merge that formed Orbital ATK. The L-1011 jet, named Stargazer, carries the light-class Pegasus launchers to an altitude of 39,000 feet and releases the booster to fire into space. Pegasus has flown 42 times and the 32 using the XL version. The rocket weighs 51,000 pounds, stretches 55 feet long and is comprised of three solid-fueled stages for boosting small satellites into orbit. Launches have occurred from California, Virginia, Florida, the Canary Islands and the Kwajalein Atoll in the Marshall Islands. Stargazer was delivered to Air Canada in March 1974. It was purchased by Orbital ATK in 1992 and modified as the Pegasus launch platform. With the push of a button in the Stargazer's cockpit by the co-pilot, the rocket is cast free to fall for five seconds, dropping 300 feet below the aircraft while traveling at Mach 0.82. During the plunge, the onboard flight computer will sense the rocket's separation from the carrier jet and issues a command to release the safety inhibits in preparation for ignition. The first stage solid-fueled motor of Pegasus is lit at T+plus 5 seconds to begin the powered journey to orbit. The rocket's heritage includes deploying over 70 satellites since 1990 for NASA, commercial customers and the U.S. military. Pegasus celebrated the 25th anniversary of its maiden launch on April 5. Two more Pegasus flights are on the NASA manifest for 2016 and 2017. The first will launch eight Cyclone Global Navigation Satellite System, or CYGNSS, spacecraft into orbit from Florida and the second will carry the Ionospheric Connection Explorer, or ICON, to space from the Marshall Islands. "Jet Airways may ask Etihad to return two of the five Boeing 777s, which it has leased to the Gulf partner," sources said. NEW DELHI: Jet Airways, which plans to enhance its services on the US routes, may ask its strategic investment partner Etihad to return two of its Boeing-777 planes which are currently on lease with the Gulf-based carrier. The private carrier has leased out seven wide-bodied planes to Etihad, which holds 24 per cent stake in Jet Airways, including five Boeing 777-300 ERs which are used for ultra long-haul operations. "Jet Airways may ask Etihad to return two of the five Boeing 777s, which it has leased to the Gulf partner," sources said here. Under a commercial cooperation agreement, the two airlines had plans to connect Mumbai to Newark, Bangalore to Chicago and Delhi to New York, through Jet Airways overseas hub at Abu Dhabi. Etihad had announced the launch of its second flight to New York from Abu Dhabi with a Jet Airways' Boeing 777-300ER plane from March last year. As per the original plan, Jet Airways was to operate this flight from May 1, 2014 but the plan failed to take off after the US Federal Aviation Administration (FAA) downgraded India's aviation safety rating. The move disallowed Indian carriers from either expanding their operations to the US or entering into any code share agreement with the airlines there. The FAA restored the aviation safety rating back to Category-I early this month, paving the way for Indian airlines to enhance their presence in the US skies. At present, only two domestic carriers, Air India and Jet Airways operate flights to the US. When contacted, a Jet Airways spokesperson said the airline was exploring all the opportunities and final decision on all such issues would be taken by its board. "We are currently evaluating the opportunities and any final decision will be taken only after discussion and approval by the Board," the spokeperson said in a statement to PTI. Restoration of India's safety rating to Category-I by the FAA allows us to explore opportunities to enhance and optimise our presence in the United State, the statement said, adding any business opportunities will be evaluated with stringent adherence to these objectives. According to FAA annual aviation projections, presented last month, US airlines are expected to transport 1-billion passengers per year by 2029 and a total of 1.5 billion by 2035. In the period between 2014-2035, US carrier passenger will grow by an average 2.2 per cent every year, the forecast had said. Jet Airways currently operates from New Delhi to Newark in the US. (http://www.researchandmarkets.com/research/brmpbz/commercial) has announced the addition of the "Commercial Aircraft Video Surveillance Systems Market by Type (Cockpit Door Surveillance Systems, Cabin Surveillance System, Ground Maneuvering Camera System, Flight Safety Camera Systems), by Aircraft Type (VLA, WB, NB, RTA, BJ), by Geography - Forecast & Analysis 2014 - 2020" report to their offering. Commercial aircraft video surveillance systems market is estimated to be $127.13 million in 2014, and is expected to grow with a CAGR of 5.35% to reach $173.83 million by 2020. The report segments the commercial aircraft video surveillance systems market on the basis of system type, aircraft type, and geographies. Further, it contains revenue forecast and technological trends that are predominant in this market. The market in this report is divided into five major geographies, namely, North America, Europe, Asia-Pacific, Latin America, and the Rest of the World (RoW). It is estimated that the commercial aircraft video surveillance systems market would be valued at $127.13 million in 2014; Asia-Pacific will havethe largest market with 32.63% share, followed by North America with 25.10%, and Europe with 23.66%. The growth of the commercial aircraft video surveillance systems market has been primarily triggered by the increase in the aircraft deliveries in both developed and developing nations, need for increasing concern for in-flight surveillance, and measures to curb increasing air rage issues. However, factors such as aviation's and airlines poor economic health, a controversy over the cameras in cockpit, and the impression of breach of security by the use of cameras acts as a resilient factor in the growth of this market. or visit website at https://teex.org/Pages/Class.aspx?course=OSH745&courseTitle=Fall+Hazard+Awareness+for+the+Construction+Industry+(OSHA+7405) to register on line.